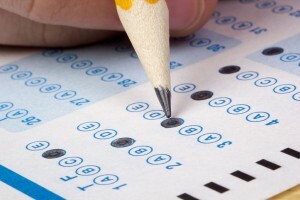 Homeschool Testing > Is Standardized Testing Required in FL? Homeschooled students in Florida are not required to take standardized tests, ever. In the State of Florida, standardized testing is not required for homeschooled students, ever! If you have enrolled your child as a home educated student, by sending your county a letter of intent, then once a year you ARE required to send an evaluation to the county. There are 5 options that parents have to fulfill the evaluation requirement. Standardized testing is one of the options, however parents can choose whichever option they prefer for their child. Sometimes county personnel will tell parents that their child needs to be tested, but this is not true. Just because the county homeschool liaison says it, doesn’t mean it’s true. Apparently some county personnel believe that testing is the only valid form of evaluation, however this is their opinion, and not fact, nor the law. If you choose to use a standardized test as your method of evaluation, then it MUST be administered by a Florida Certified Teacher in order for the test results to be an acceptable evaluation. Click here to read where this is specified in the FL Statute.